She is a typical campus mean-girl with a flare for being fashionable, being popular, and doing what she wants. 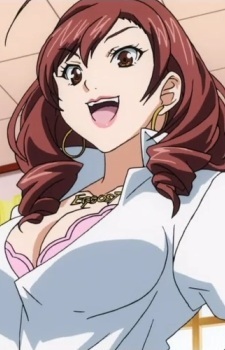 She has a short fuse and it is always her classmate Konatsu who gets to be on the receiving end of her tantrums, however she greatly fears her elder sister Saya and Kaname the school nurse whom are both feared bosozoku gang members. Even thought Aya fears Kaname, she would often loiter around her clinic, because Kaname is always not around. Only Minami can match her mean-girl attitude and it is suggested that the two may have some feelings for each other.